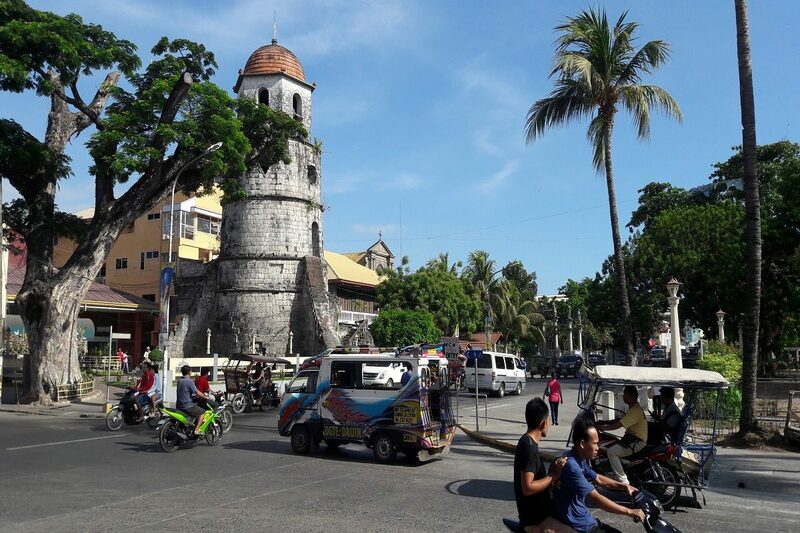 Dumaguete City has been conferred by the Department of Trade and Industry (DTI) the distinction as second ranked component city in Government Efficiency among all component cities in the Philippines. With the current administration’s commitment to create in the city an environment conducive for investors to do business by simplifying the regulatory processes and enhancing transparency, Dumaguete City Mayor Felipe Antonio Remollo along with Councilors Joe Kenneth Arbas, Michael Bandal and Alan Gel Cordova received the award at the Philippine International Convention Center in Manila during the 6th Regional Competitive Summit. DTI Secretary Ramon Lopez said that this is an effort to recognize the most competitive Local Government Units (LGUs) for 2018 through the Competitiveness Bureau to highlight the results of the Cities and Municipalities Competitiveness Index (CMCI) 2018, which targets to rank over 1,500 local government units across the country. In his keynote speech, Secretary Lopez challenged all local chief executives to reinvent their ways of delivering government service. He urged all LGUs to level up the competitiveness of their localities to attract more investments and to create more jobs for the Filipino people. As part of Dumaguete City efforts to nurture small and medium enterprises, a Negosyo Center was established with DTI to provide basic services namely: business registration assistance; business advisory services; business information and advocacy; and monitoring and evaluation of business-process improvement. Mayor Remollo also enhanced the Business One Stop Shop or BOSS to assist all entrepreneurs, big and small, to experience ease in doing business in Dumaguete City. As a result, there are now 7, 459 business establishments operating in the city in first half of 2018, an increase from just 7, 074 in 2016. This also 10, 102 local jobs from July 2017 to June 2018. City Treasurer Cristina Merced projected P324 million revenues from local sources or businesses alone in 2019. Mayor Remollo will be proposing a P790 million budget for 2019, the biggest budget ever for the city from just P 689 million in 2017 and also in 2017 alone. The city posts an excess collection of P91.4 million in revenues due to the aggressive tax collection and sound fiscal management of all responsible officials, who are committed to good housekeeping and ethical conduct in service, cited Remollo. Under his administration, Remollo said the city also demonstrated a transparent local government with not a single disallowance from the Commission on Audit for all its financial transactions since his assumption to office in mid-2016, thereby earning the trust and confidence of the constituents and investors alike. The Consumer’s Advocates, Inc. (CAI) of Negros Oriental trained a new consumer group in Siquijor province on April 14 at the Department of Trade and Industry Provincial Office in Siquijor, Siquijor. A team of 10 CAI members, led by its president Linda Basmayor, handled the whole-day organizational development and planning activity for some 12 core members of the Vigilant Consumers Association of Siquijor (VICAS). “We wanted VICAS, our counterpart in Siquijor, to feel more vigilant and empowered in promoting consumer rights and welfare by providing them with the necessary tools in working effectively as an organization, advocating their cause, and closely coordinating with government agencies, such as the DTI,” Basmayor said. VICAS was only established late last year and is in the process of filing their papers with the Securities and Exchange Commission. It is headed by its president Rhuan Dogon. VICAS, Basmayor added, has committed to promoting consumer education and coordinating with appropriate agencies to help address the issues identified. This is the second time for CAI to help train consumer groups outside Negros Oriental. Three years ago, it also trained an umbrella organization for all consumer groups in Bacolod City. Both trainings by CAI in Bacolod and Siquijor were done in close partnership with and at the initiative of Angeline Pauline Gonzalez of DTI. Gonzalez used to be Chief of the Consumer Protection Division of DTI Negros Oriental and is currently OIC Provincial Director of DTI Siquijor. CAI was formed when Gonzalez was still with DTI Negros Oriental. Now that she is with DTI Siquijor, CAI works with her in ensuring that a new consumer group gets registered and accredited by DTI Region VII. Different Artworks and items created by artists in Dumaguete City and Siquijor are now on display at the 6200 Pop Up Arts and Crafts Fair inside a local mall in this city. The Department of Trade and Industry (DTI) in Negros Oriental spearheaded the launch of the said event yesterday at Robinsons Place Dumaguete. It features creations made by 52 young artists. The 6200 Pop Up Arts and Crafts Fair is a rebranding of the Dagit Artsfest also organized by DTI in 2016 and 2017. Its new name 6200 is taken from the actual zip code of Dumaguete City. “It really represents Dumaguete as a hub for interactions for artists, writers. We know that we have two national artists in Dumaguete; the National Artist for Literature Dr. Edith Tiempo and also the filmmaker Eddie Romero,” Event Director and Artist Curator Ra’z Salvarita said when he explained to the exhibitors and other guests the rationale of the event. “The pop energy is brewing on this community. I’m thinking also that Pop Up is easily recognizable word for a lot of visitors. It’s really recognizing that this city is a space for interactive cultural experience for a lot of us,” Salvarita added. DTI Provincial Director Nimfa Virtucio disclosed that the event aims to develop young and budding artists. “We are showcasing kaning mga batan.on nga artist. We want to develop them. Art also is a business. Kanang ma-sustain nila ug mahimo nilang livelihood (We are showcasing these artists. We want to develop them. Art is also a business which they can sustain and turn into livelihood),” Director Virtucio told the members of the local media in an interview after the launching ceremony. “Ganahan pod mi na ang Negros Oriental, the community, ma-aware pod sila na there are young artists na naa diha sa daplin na wala nagpagawas. Most of us think work of art such as these are expensive, actually they are not. Mas mahal pa ang gadget. If you can afford to buy gadget every year why don’t you buy artwork na makatabang pa ta sa mga batan-on na gasugod pa. (We also want that the community in Negros Oriental to be aware that there are artists at the fringes who have not come out yet. Most of us think work of art such as these are expensive, actually they are not. Gadgets are more expensive. If you can afford to buy gadget every year why don’t you buy artworks that can help our budding artists),” Virtucio further said. Some of the artworks that are on display and for sale at the trade fair include paintings, postcards and posters made by digital artists, literary books, landscape photographs, fashion items, handicrafts and other novelty items. One of the objectives of the event is to provide an opportunity for artists to exhibit and market their work to local buyers and also encourage local art collectors to purchase affordable artworks and crafts. On the other hand, Provincial Small and Medium Enterprise Development Council (PSMEDC) Chair Ed Du congratulated the exhibitors for joining this endeavor he also cited some measures on how the council can give support to the local artists. “This is part of our advocacy sa creative industry. This will become an annual activity for the creative arts industry,” Du remarked. Aside from, Du also shared that they can assist artists in organizing themselves into an artist guild. “They have to organize para ang ilang mga product pwede ma-showcase kay kung usa ra ka (lisod). Mao ni amo gihimo; organize and hopefully match them with the buyers. Mostly and buyers ani foreign (They have to organize so that they can showcase their product because if they do it alone (it will be difficult). (That’s what we do; organize them and hopefully match them with the buyers. Most of the buyers are foreign),” Du said. The 6200 PopUp Arts and Crafts fair will run until April 24, 2018.